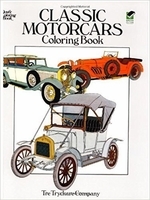 Classic Motorcars Coloring Book. 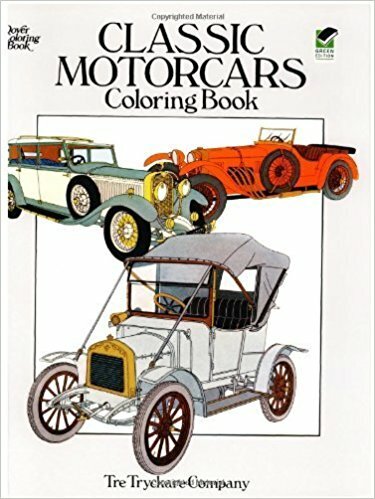 For any senior that enjoys looking at the old motorcars from another era, this classic motorcars coloring books offers 46 different ones to read about and to color. Some older adults really enjoy the chance to color again, while others just enjoy reading about the cars and looking at the pictures. Includes a Packard, Cadillac, Alfa Romeo and many more. Thoughtful and economical gift. Softcover. SORRY, THIS ITEM IS DISCONTINUED! Visit here for other coloring books for elders.